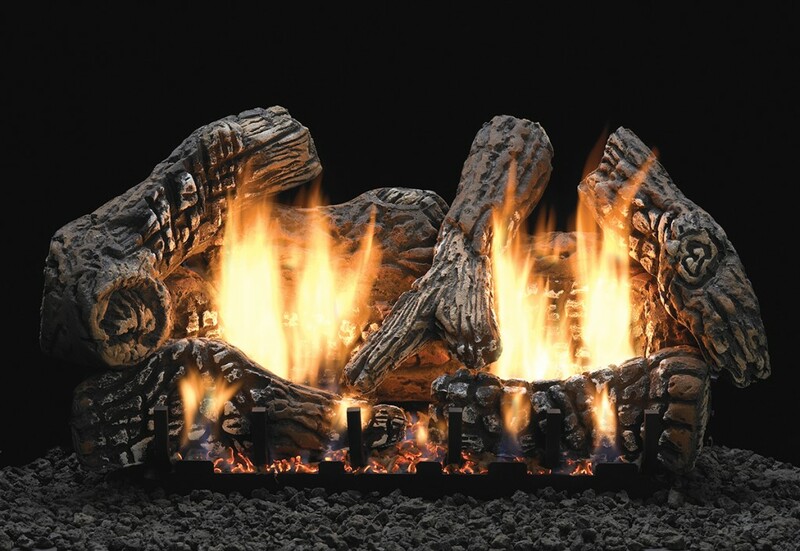 Triple burner design for realistic glowing ember appearance. 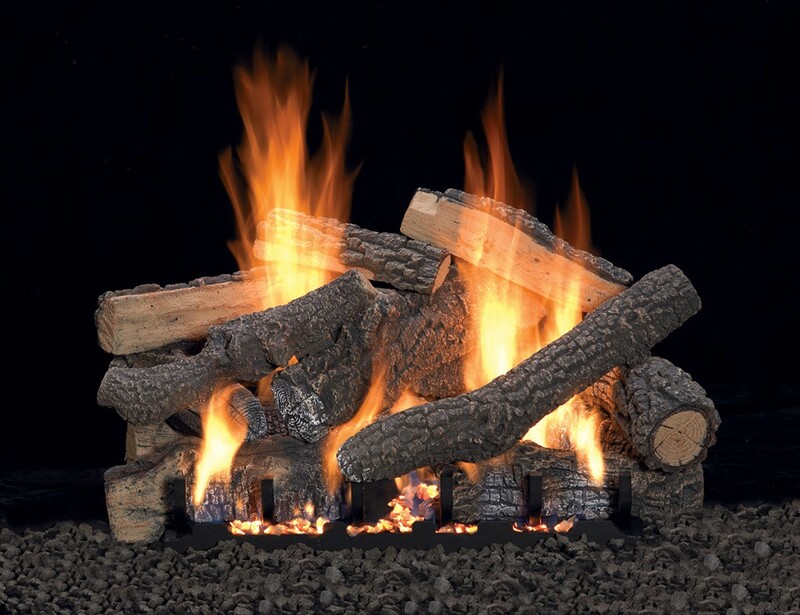 40,000 BTU/hr (“C3B” for 24″ & 30″ sizes) models available. 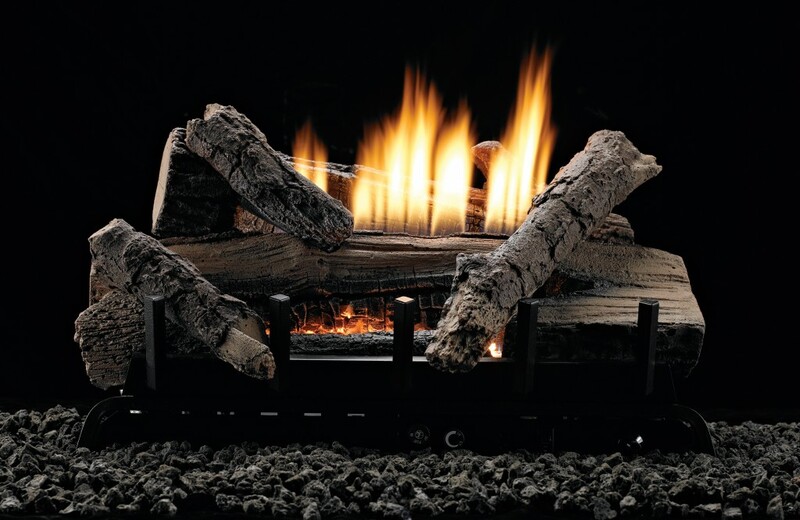 Give your home the warmth and beauty of a real fire with the Cape Fear Oak gas log system from HEATMASTER. 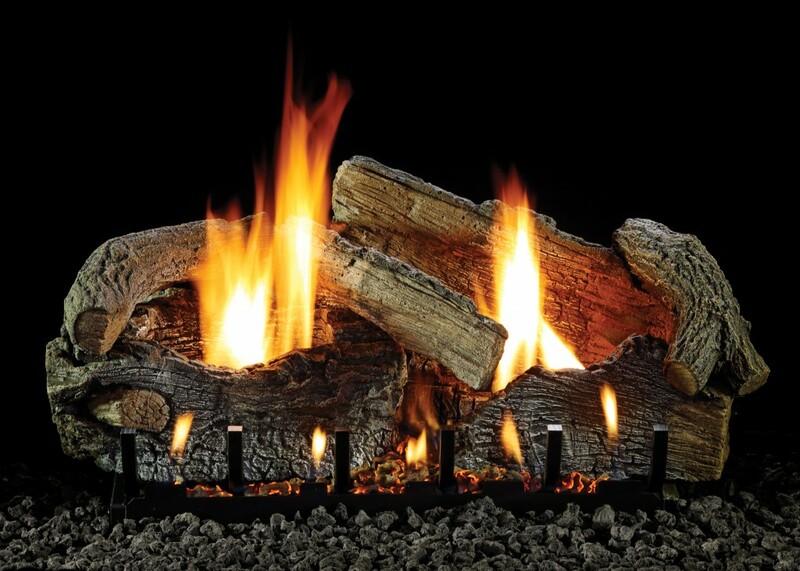 A total of 8 individually crafted logs. 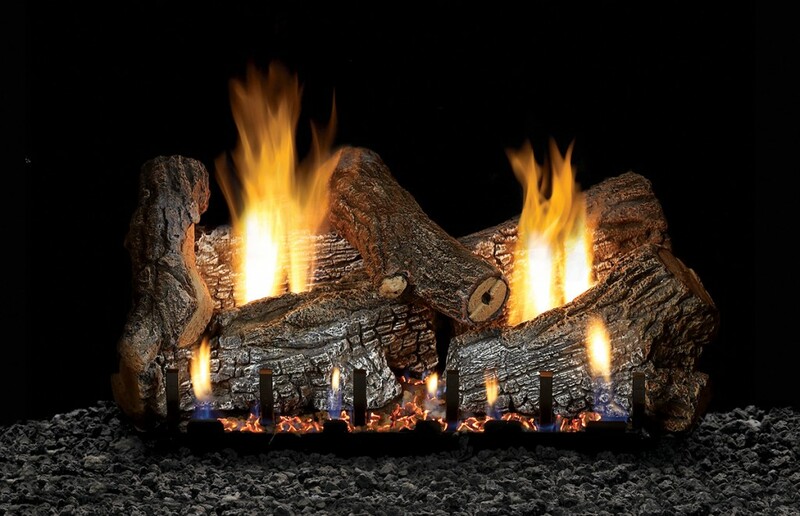 Give your home the warmth and beauty of a real fire with the Charred Rustic Oak gas log system from HEATMASTER. 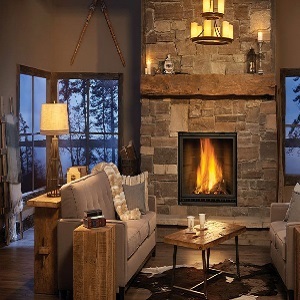 Modeled from historic fireplaces, the Rasmussen CoalFire Modern style set is an authentic touch to any Victorian style fireplace with a modern flair. 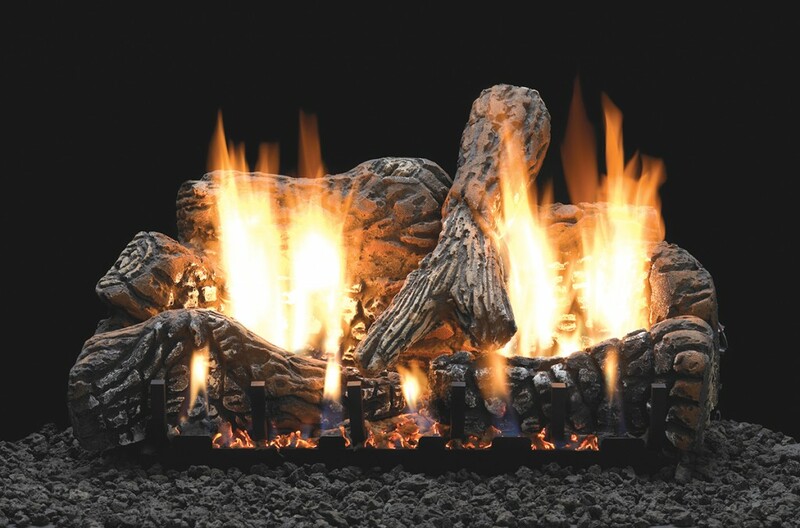 The coals are made from refractory cement and the burner state-of-the-art lanced-port opposed-louver burner that will heat your room effortlessly has a BTU output of 33,000 BTUs. 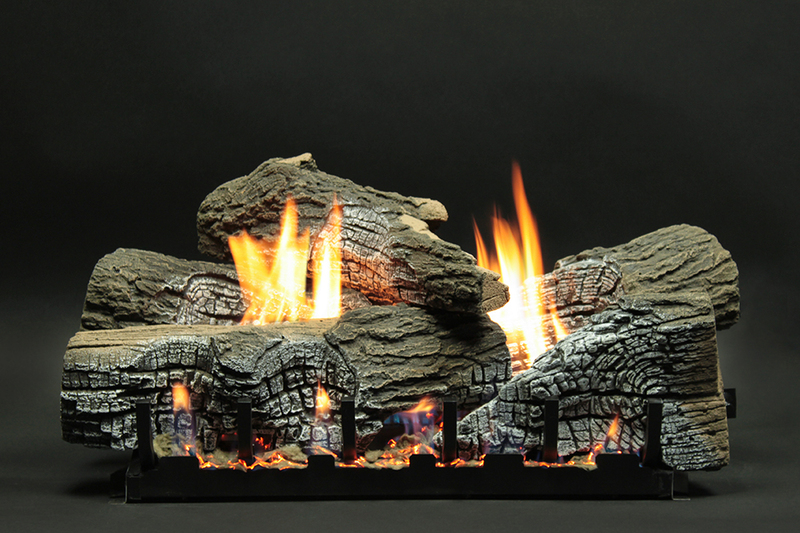 Surrounding the coals is a beautiful basket, incorporating a modern shape. 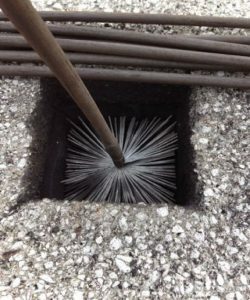 Featured is a pre-installed manual safety pilot valve for convenient ignition. 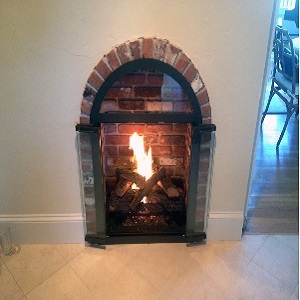 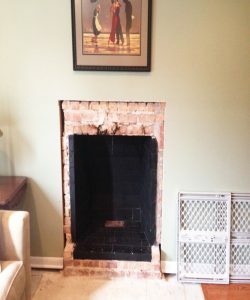 Typically, this CoalFire set is used for fireplaces that were not designed for burning wood but have a flue or fireplaces with shallow depths. 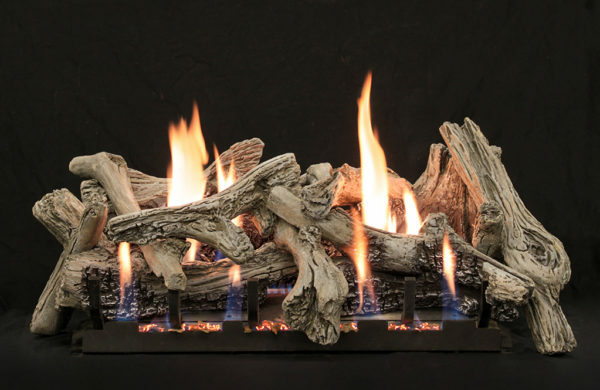 This Rasmussen Gas Log set includes: Vent-Free Coals, Vent-Free ANSI Certified Burner, Grate, Safety Control, Oxygen Depletion Sensor, (ODS) Pilot, Connector Kit and Sand. 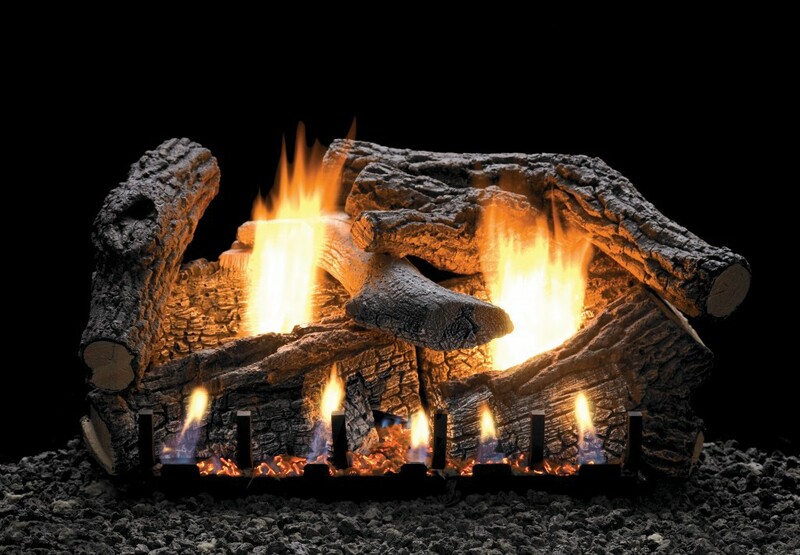 Single burner design with realistic glowing ember appearance. 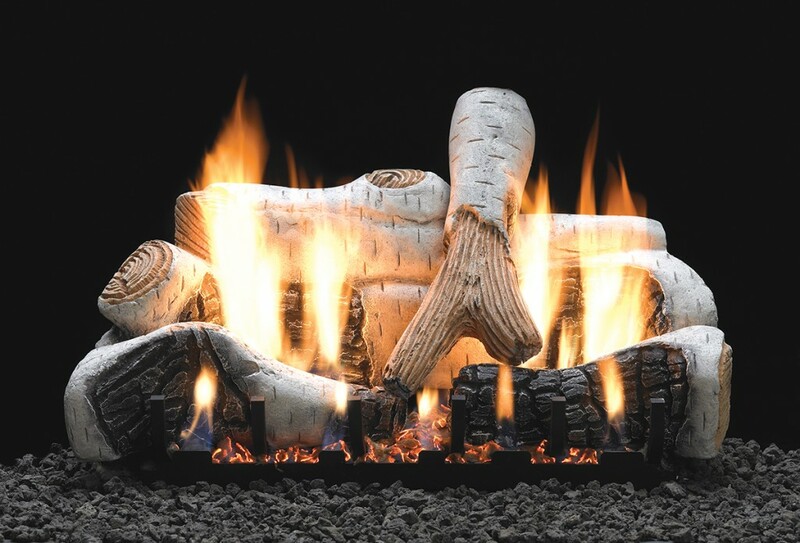 The Flint Hill Log Set features richly detailed, hand-painted Ceramic Fiber logs mou­­nted atop our Vent-Free Contour Burner. 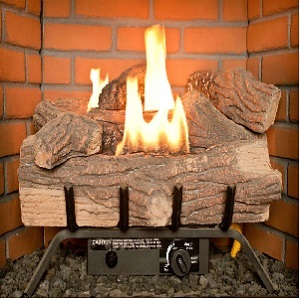 Includes glowing embers to add to the illusion of a real wood fire at any heat setting. 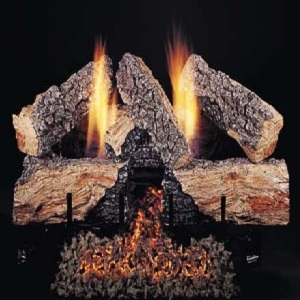 This competitively priced log/burner is ideal for existing fireplaces and fireboxes and for new construction. 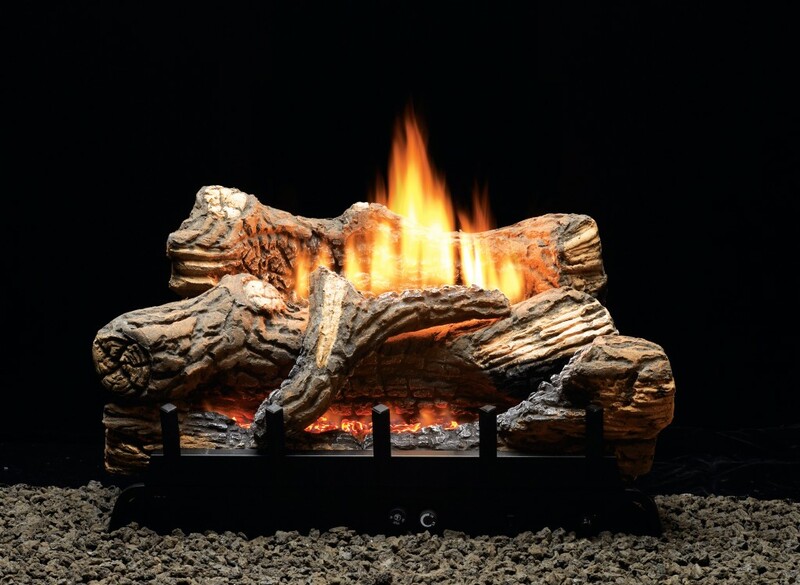 Designed to fit see-through and peninsula fireboxes, our Vent-Free Slope Glaze Vista Burners provide a great view from any angle. 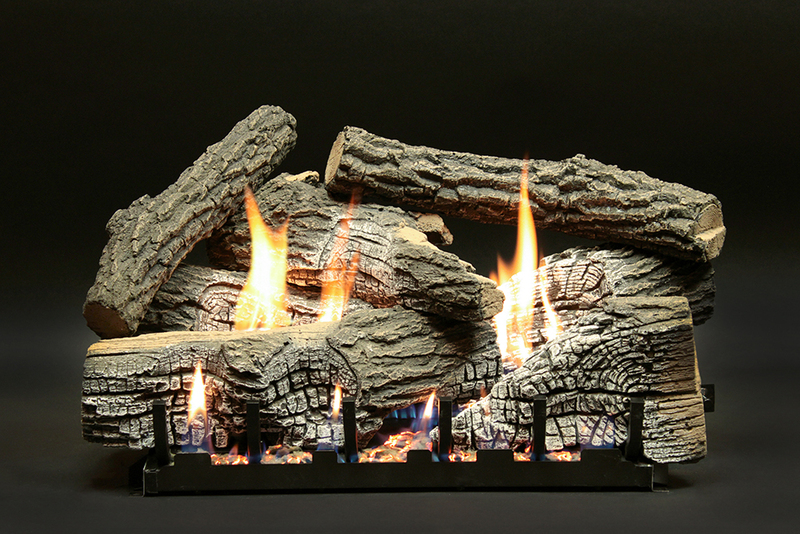 Ceramic beads inside the burner tumble the gas to create exceptionally realistic flame movement.